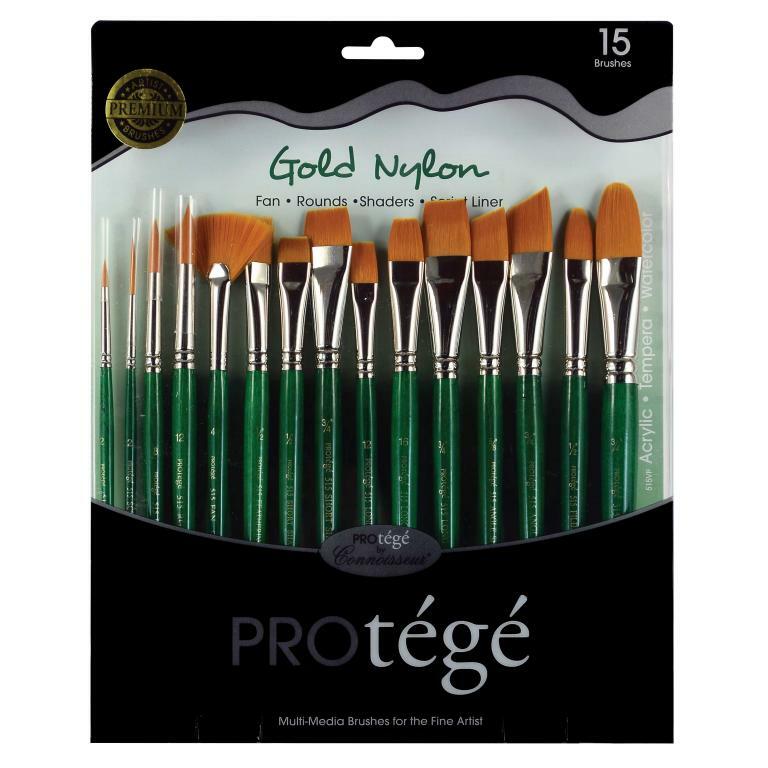 Gold Nylon hair is designed to simulate the benefits of sable, widely acclaimed as the finest natural artist brush hair. Synthetic bristles are durable, stand up to solvents, and are easy to clean. Gold and white nylon both have excellent snap, spring and paint loading qualities. Gold nylon tends to have the finest filaments great for soft watercolor and gouache techniques. Good with acrylic and tempera as well. Hog Bristle hair has unmatched stiffness for heavy media oil and acrylic painting, mixing and blending. 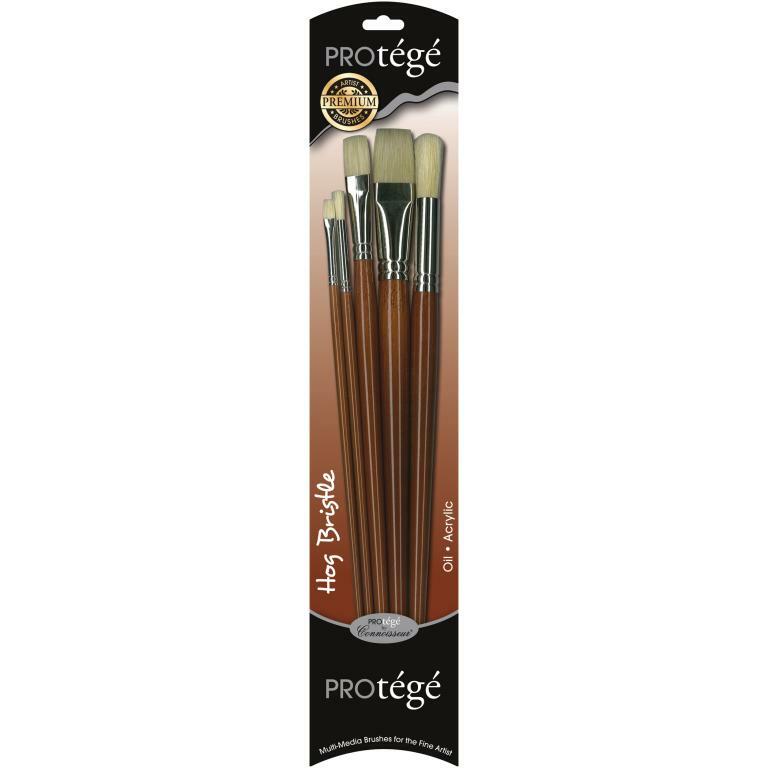 Hog bristles are coarse, providing attractive brush stroke definition. All natural hair brushes have high paint load capacity. Natural Hair has incredible water loading capacity, making it the perfect choice for watercolor, gouache, fluid acrylic, and tempera. Premium Taklon hair is designed to simulate the benefits of sable, widely acclaimed as the finest natural artist brush hair. Synthetic bristles are durable, stand up to solvents, and are easy to clean. Taklon filaments are hefty and will hold their shape with a liberal paint load. 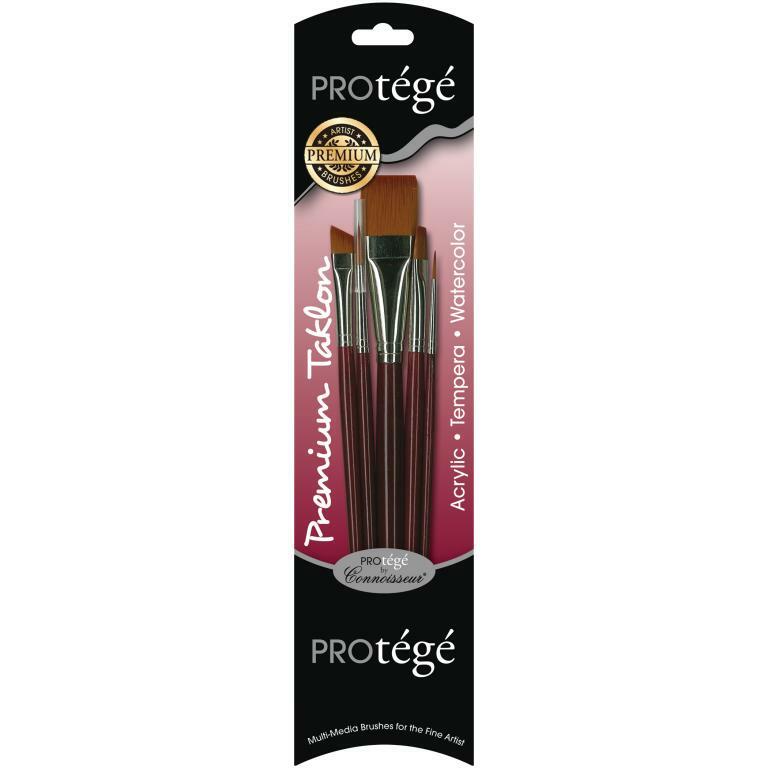 With slightly softer filaments than their nylon counterpart, taklon brushes very closely resemble the feel of a natural hair brush. For use with acrylics, tempera, watercolor, and gouache. White Nylon hair is designed to simulate the benefits of sable, widely acclaimed as the finest natural artist brush hair. Synthetic bristles are durable, stand up to solvents, and are easy to clean. White Nylon hair provides maximum snap, spring and paint load for long lasting strokes of color. 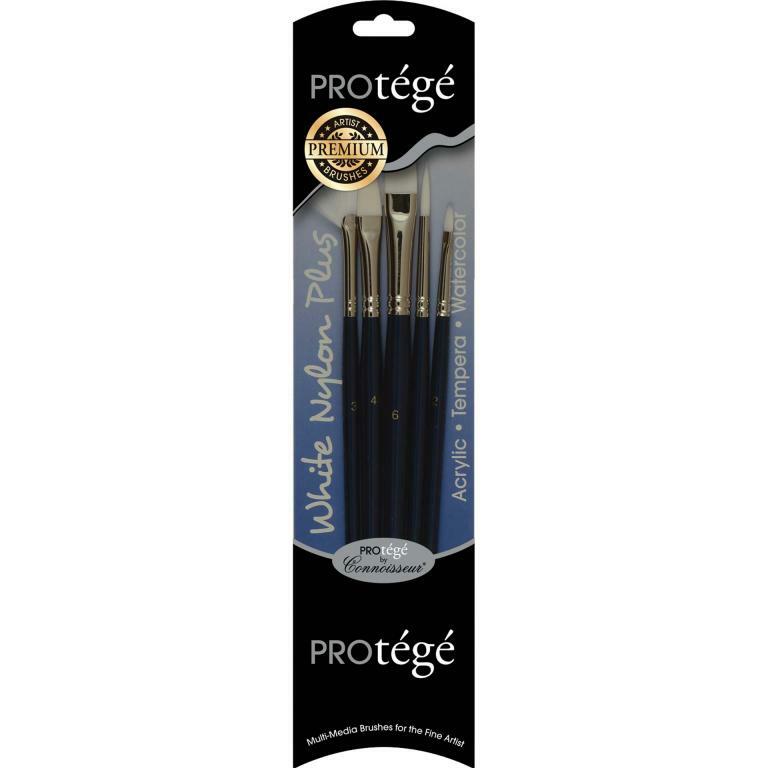 With slightly stiffer filaments than their taklon counterpart, nylon brushes are the best choice for acrylics and tempera, and the supple tapered edge provides ample softness for delicate watercolor and gouache application.